Are you ready? Tempus Fugit! If you have made all arrangements for 2013, written a new business plan, and shared all of the scheduled activities with your staff, then you are prepared. I chatted with two DME/HME principals this morning and if every dealer showed the same enthusiasm I just heard, 2013 will be a superb year. I have listened to all the negative voices. Each of these comes from people with a loaf of bread under each arm and a pocket filled with money. Yes, they complain. It is time to change one’s attitude from a minus to a plus! Now is when you should be building for your best year. 2013, this New Year, has the voltage to light up every DME/HME operation. But this will be only if you make it happen! I just read in my local newspaper that the unemployment rate could go down to less than six percent. This will be a major step forward. Every indication is that the efforts being made in Congress will dramatically reduce the national debt. Banks have slowly begun to increase loans to small business and this alone will mean more jobs and better growth. The two dealers I chatted with today were telling me some of the thoughts they have for the coming year. They each have researched their market and found new opportunities from which they could build. When I listen to principals with this type of confidence in the future, I am aware changes for the better are here. If you have not done so yet, please prepare your entry into year 2013. What new plans have you created? HAPPY NEW YEAR and 2013 will be the best ever for you! I receive close to 200 e-mails daily and an equal number come in as SPAM. It appears the whole world has forgotten how to use other means of communication. It is clear to see that even when we go out to eat just look at how many people are looking into their hand held telephones. Well, that’s the new way. "Enthusiasm is the greatest business asset in the world. It beats money and power and influence. Single handed, enthusiasm convinces and dominates where a small army of workers would hardly raise a tremor of interest. 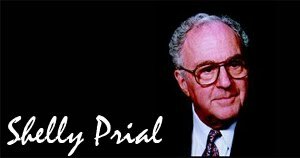 Enthusiasm is faith in action; and faith and initiative rightly combined remove mountainous barriers and achieve the unheard of and miraculous. Set the germ of enthusiasm in your business; carry it in your attitude and manner; it spreads like contagion and influences every fiber of your industry; it begets and inspires effects you did not dream of; it means increase in production and decrease in costs; it means joy and pleasure and satisfaction to your workers; it means real life and virile; it means spontaneous bedrock results-the vital things that pay dividends." Rather than quote from the article, I want to recall what I heard from DME/HME providers. In an article that I did for HomeCare Magazine, I quoted comments from attendees at the Fall Medtrade. These comments were all filled with much “enthusiasm". This feeling is typical of our industry! The entrepreneurs bring their eagerness and interest with them. They share this with all their clientele and it is so appreciated, particularly by family caregivers. As we approach a new year we must all bring all the eloquence possible to make the future brighter and more successful. Yes indeed, enthusiasm is the key for you! The holidays are just around the corner. 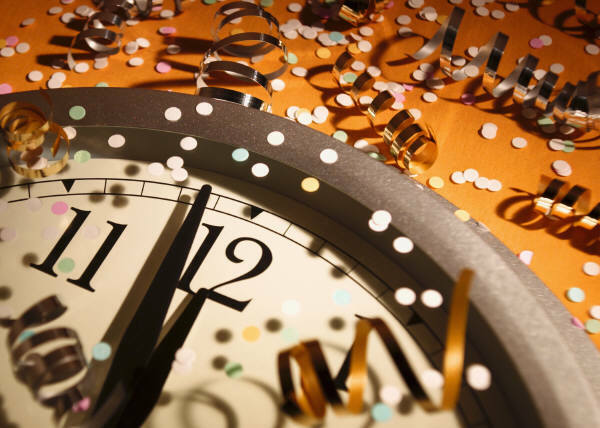 Use this time to relax, enjoy seeing friends and family and then contemplate in the next couple of weeks what you can do in 2013. Your first thoughts have to be about your current operation, which includes the company, staff, and clientele. Think about what you will do to expand your bottom line with higher profits. In a previous blog was a reminder to be sure you have already enrolled for the Spring Medtrade in Las Vegas. So many new surprises and opportunities will be found there. I have been monitoring the show and can tell you how impressed I am with what is ahead! In anticipation of attending Medtrade Spring, do the following. Write a business plan for 2013. It will not be graded and if you take the time, I know you will be rewarded. Do a careful review of the past year activities to determine which disciplines brought in the best profits (and those that did not). Begin from the weakest link to see why it did not produce as much as you anticipated. Realize where sales were down and why that happened. Armed with that information, you can make corrections to prevent that from happening again. Study every segment of your sales to see where OTC cash sales products are available. This can become a goal for Medtrade. Build from your base and continue to grow. This can be a most constructive time. It really makes a difference! The ROI for the time and effort in preparing this as a new “business plan” will never be better. This effort makes attending Medtrade so vital! It is important to share your thoughts with all your employees. Their enthusiasm will be found on the bottom line annually. 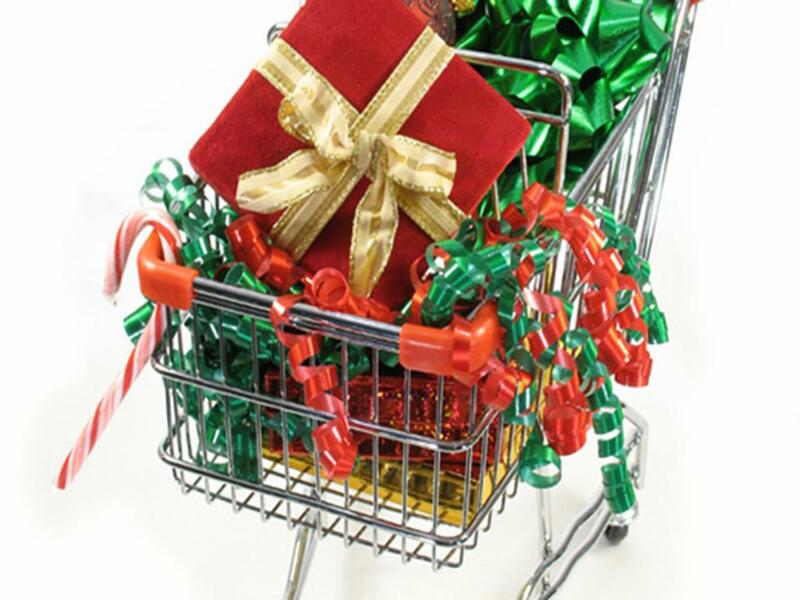 Make this Holiday season work for you! Medtrade Spring is Around the Corner! 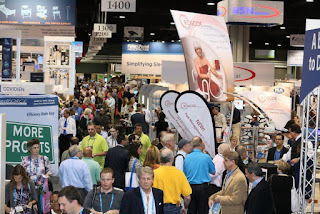 The dates for the Spring Medtrade 2013 Exhibition are from March 19 to March 21. 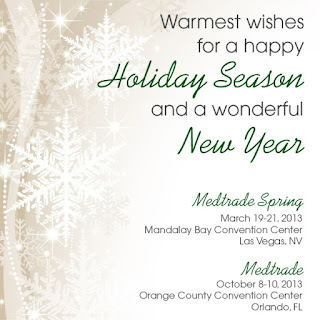 I am very aware with the holidays pending, Medtrade is the furthest thing on your mind. However as DME/HME providers, dealers and manufacturers, none of us have the luxury to just sit back and let things happen. Rather than observe, since you are all aware that 2013 can be the most critical year our industry has ever faced, you must act! Being negative does not have to be the case. Do not be a spectator, hoping for the best, takes charge of your future and make it the best! Commit now to attend Medtrade Spring. See how many admission tickets you require and obtain them STAT. Book your accommodations today and get the choice of rooms. After early registration you should plan which exhibitors you have to see. At Medtrade deals are always made that will enable you to guide your company through 2013. OTC cash sales potential must be on the top of your list. You can do what I always did prior to attending Medtrade. As manufacturer reps called, I asked them to arrange appointments for me at Medtrade. In that fashion, I always met with the president or sales manager. This gave my company the ability to negotiate more and better promotions. They are always so amenable! As a consequence, with their cooperation, sales and profits grew to our mutual satisfaction. You can even use some of the features Medtrade has put into place online for planning meetings. 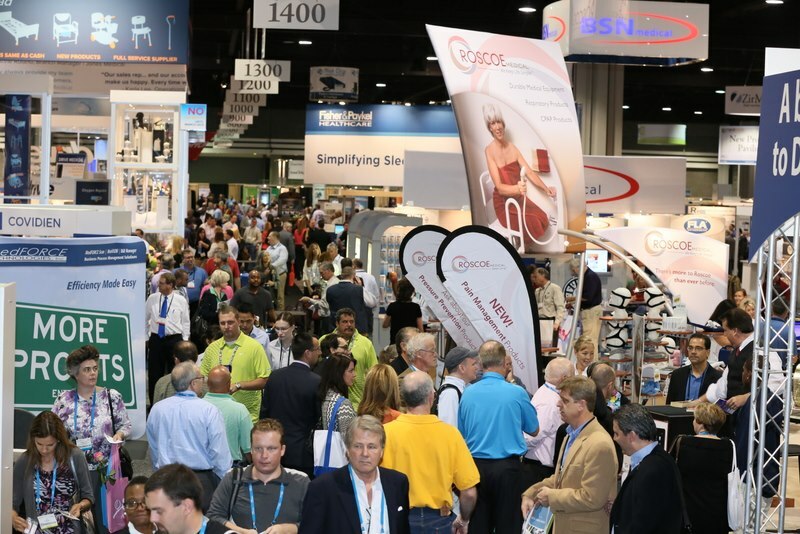 Once you register, try the Medtrade Connect Program to plan your time at the convention. My experience has taught me there is no better venue when the opportunity to meet and arrange with preferred vendors. You can develop additional market share. Deck the halls with signs and greetings; it’s the season to be jolly? Yes, now is the season! Today, start promoting during this mad rush prior to the holidays to purchase correct gifts. It appears that too many folks are unaware of what DME/HME dealers offer; many comfort items for Mom, Pop, or any relative. Somehow, we neglect to show our clientele there are so many items on our show room floor that make lovely gifts and will be greatly appreciated. One entrepreneur in the Snow Belt ran a special Christmas Gift sale offering a choice of several different heating pads. How well did he do? When is the last time you sold close to four dozen heating pads in a two-week period? Another sharp businessman, in upstate N.Y., offered free installation for two weeks only before Christmas for a “ride a stair unit”. Those parts of New York homes are mostly two stories and although he displayed them in his showroom, sales averaged about only about five or six annually. He installed four during in the two-week period and received an order for another to be installed in January. Instead of show and sell, perhaps “shout and sell” would be more effective. In Missouri, where the winters can be rather “cold” (I know because I lived in Missouri for a number of years) a sharp dealer had a good idea. He took advantage of the weather and made arrangements to sell electric room heaters. He located one that is lightweight and used a small amount of electricity, but warmed up a room rather quickly. This was not an item he normally sold, but made arrangements with the manufacturer to sell them for the holidays. He told me he did very well! Do a careful review of the type items you sell, where the bulk of your sales emanate from, and then seek out OTC cash sale items. Make it a Merry Christmas for your clientele, your staff and yourself. It is all a matter of knowing your clientele, their needs and matching a suitable OTC cash sale products.